My Dad (Coach, for the purpose of these races) picked up me and Flo in Innsbruck on Saturday from where we set off on our 7 hour drive to Flaine to take part in our 5th year of British Schoolgirls Races. Miriam (our third team member) flew with my Mum from Birmingham to Geneva and we all sat down to dinner in our apartment in Flaine at 8pm. 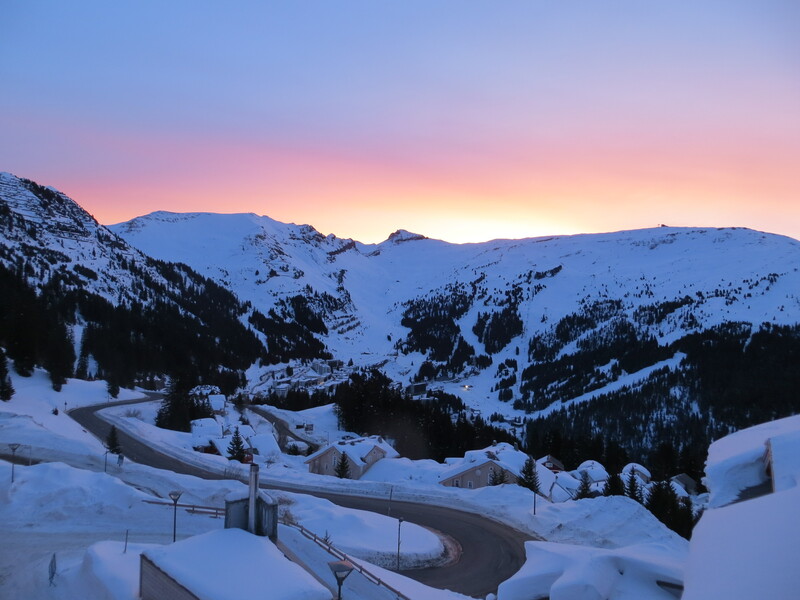 We were up early on Sunday morning for a day of training in Flaine. It was lovely to see so many familiar faces on the hill. Monday morning dawned and there had been a massive dump of snow since it had snowed all night. It was a perfect day for powder skiing - the problem was that this was the day of the GS race! However, after a lot of work by coaches we were finally able to get underway. We had a team plan, we stuck to it and our school won the GS. Going into day 2 (and the Slalom) we had a commanding lead for the overall title so the strategy was to take no risks at all in either of the Slalom runs. These proved to be perfect tactics and we ended up with trophies for 1st overall school and 1st overall team to add to the GS trophy. On top of this, Flo ended up 1st in the under 18 combined and 1st overall combined. I ended up 1st in the under 21 combined, 1st in the under 21 Slalom, 1st in the under 21 GS and 3rd overall combined. 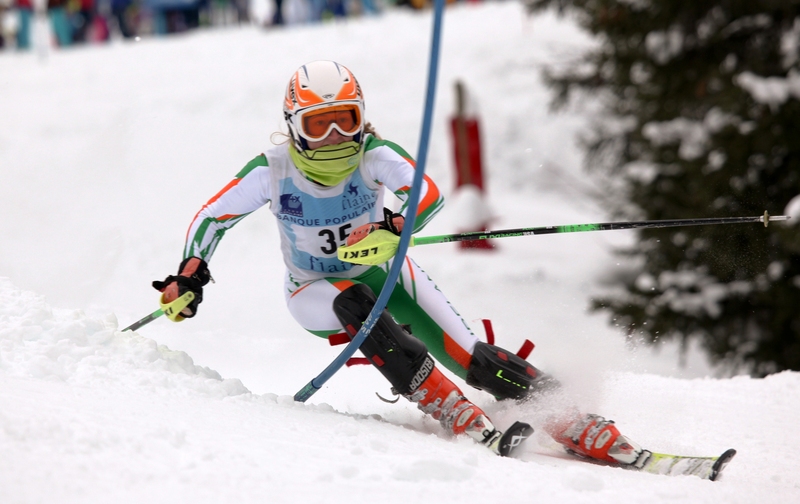 To add to all of that, we were 3rd overall in the Slalom and Flo was 2nd overall in GS. In total, we/school picked up 6 trophies and 17 medals. So we are back home for a very brief rest before heading back to Europe to start preparations for the World Championships in Schladming. It was a very successful competition for us - but my Dad was disappointed that there was no prize for top Coach!! Of the 156 girls who raced, I came 3rd overall. Out of the 52 school teams who entered, we came 1st in GS, 1st Overall, 3rd in Slalom and 1st in the team event. We beat past winners such as Strathallen and Surbiton, "Ivy League" public schools like St Mary's Ascot, Lady Eleanor Holles and Cheltenham Ladies' College (to name a few) and the internationally-renown Aiglon College which is based in the Swiss Alps. We also beat famous specialist sports schools like Milfield and Reeds and the historic ski clubs Kandahar and the Down Hill Only Club both of which were set up in the Alps in the 1920s. Our total haul was 6 trophies and 17 medals (12 of them gold)!